I decided when I finished my cockpit, I was going to call it an Me-109F/X. This way I could get away with filling the panel with modern goodies. 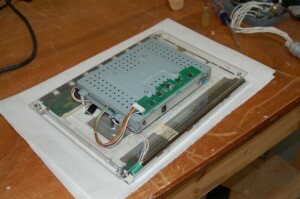 I move the panel components to a custom fabricated 1/8″ acrylic mounting bracket. I’m currently finalizing the layout of the instrument panel. When it’s complete I’ll make sure to get pictures posted. ← Adjustable rudder pedals and finished trim/flap wheels! Is there a “mailing” list for this site. Would like to know when new articles are published. Interesting stuff as started trying to build my own motion sim. You can join the simpits-tech list over at http://www.simpits.org – I post update notes there and there’s a lot of really knowledgeable people on that list. I look forward to seeing you there! hello how free software for this? The software is (or will be) commercially available. More info on the software can be seen on wv838’s channel on YouTube. 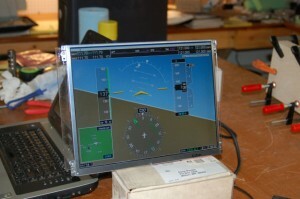 I am building also homecockpit which based on 2 garmin G1000 displays. I have a problem with microsoft fsx. I cant display only the screen. If i open the panel all panel will be shown on the screen with all buttons. How can i set it that it display only screen zone? Thank you for your answer already.